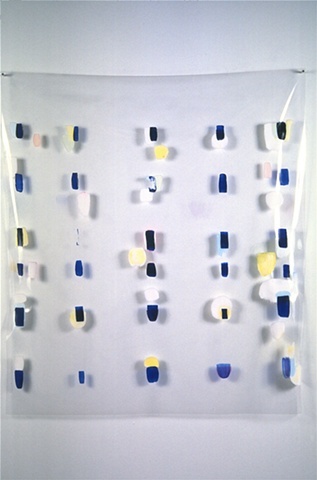 These pieces have been grouped together because they all involve colored shadows cast on the wall by paint held at a distance. 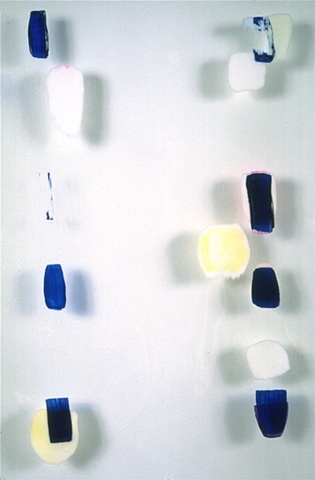 The resulting competition between physical and reflected color makes it difficult to tell which is which. 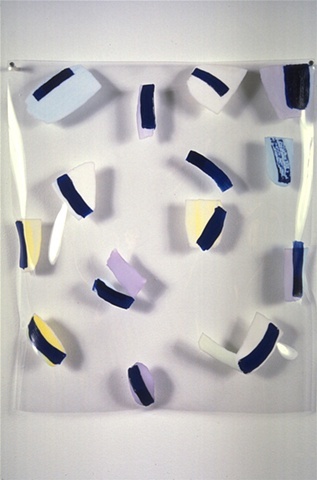 In 4.1-4.6, the paint has been layered, peeled and cut like the pieces in section 5. In this case, however, the paint was cast in a continuous sheet rather than sewn, and the color layers on the inside of the strips are different from the color layers on the outside. 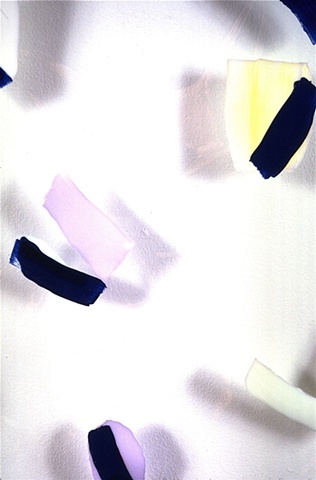 In 4.7-4.10, the paint, both opaque and translucent, was applied to both sides of sheets of transparent vinyl. Cast acrylic paint (one piece).